Lights, camera, action! On January 31st, 2014, the first-ever Bay Flick Youth Film Festival, a film festival specially for Bay Area youth, was hosted in Oakland CA. This film festival accepted short films from students around the Bay Area, encouraging them to show their talent in the creation of their own short films. 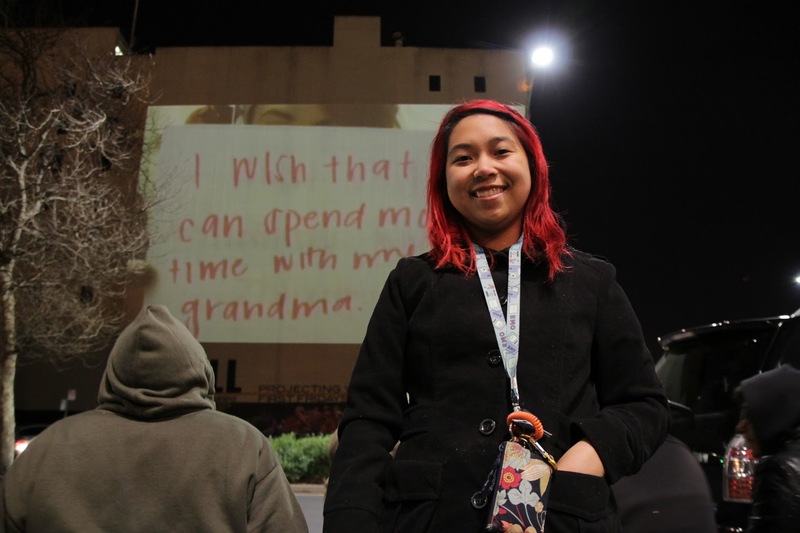 Oceana Senior, Allison Ramirez, participated in this event by entering one of her films entitled “I Wish”. Before the event Ms. Ramirez had to submit a short clip of her film to each category to which she applied. Two winning filmmakers from each category had the honor of having their short film shown on The Great Wall during the film festival’s screening event. “The Great Wall of Oakland” is a 100 by 100 feet tall wall on a building in Oakland. For cinematic events, the wall is transformed into a movie screen and has been used to show films produced in the bay and around the world. Ramirez’s short film was one of those shown on the larger-than-life wall in honor of her reception of the Grand Jury Prize. The experience was a memorable and emotional one for Ramirez who states, “Winning the award was very moving… Seeing on the ginormous wall my film, my name, and I won the ‘Grand Jury Prize’. It totally made me happy. Tears were streaming from my face”. This is the third prize Ramirez has won for her films. In 2013 she also claimed first prize in both the Teen Film Festival and a contest run by fundakid.org.